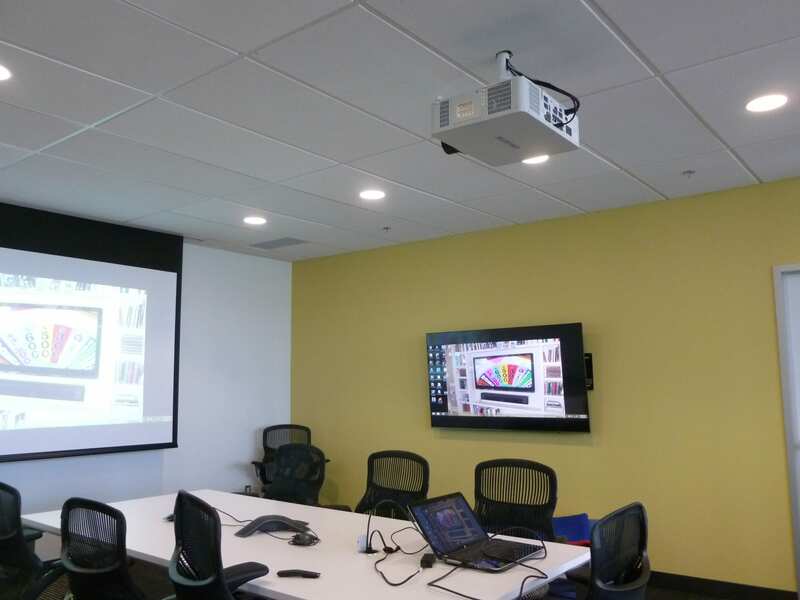 The customer asked for a large panel flat screen TV on a cantilever wall mount along with a video switching system and audio. 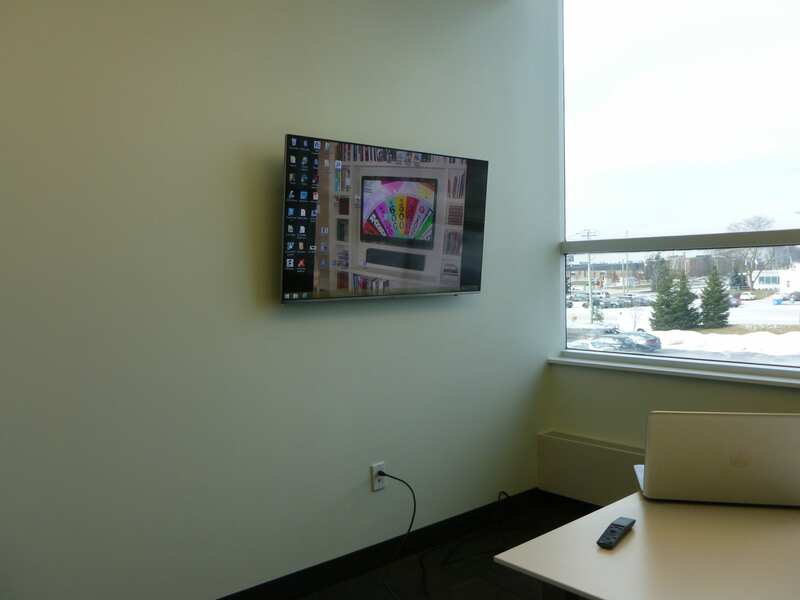 We installed a 70″ flat panel with a 5 input HDMI switcher. 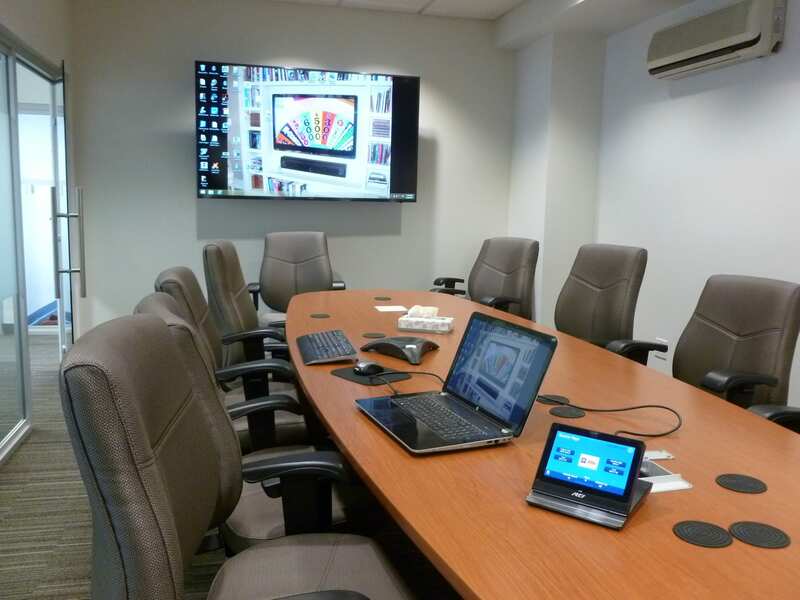 The system is controlled with a 7″flat screen LCD remote control customer programmed for their needs. 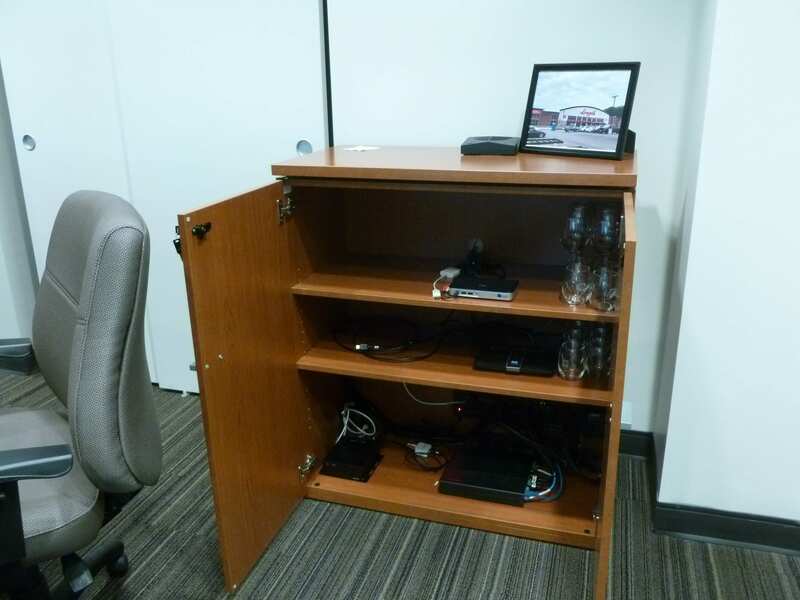 The system turns on with the press of a button and displays the default PC and switches the audio to this source as well. 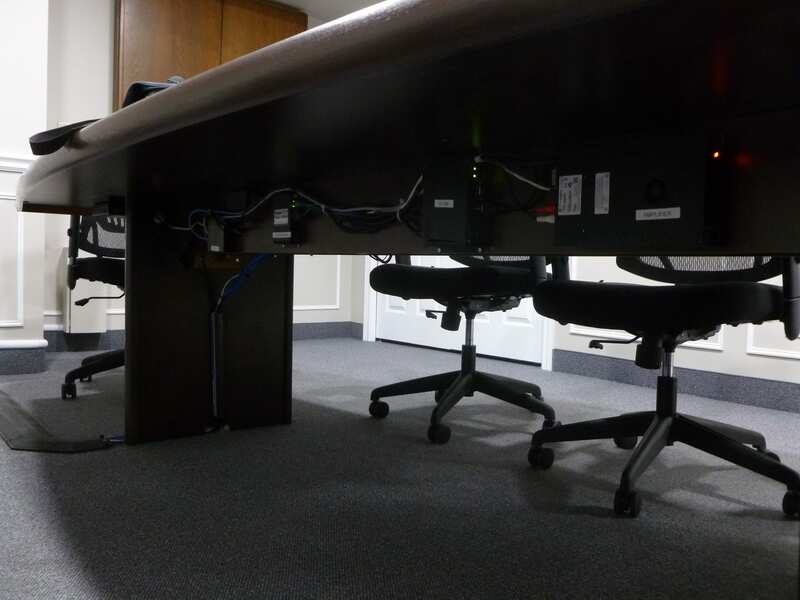 There is a HDMI jack mounted in the Boardroom table to accommodate the Laptop from a presenter as well as 2 additional HDMI inputs located in the cabinet. 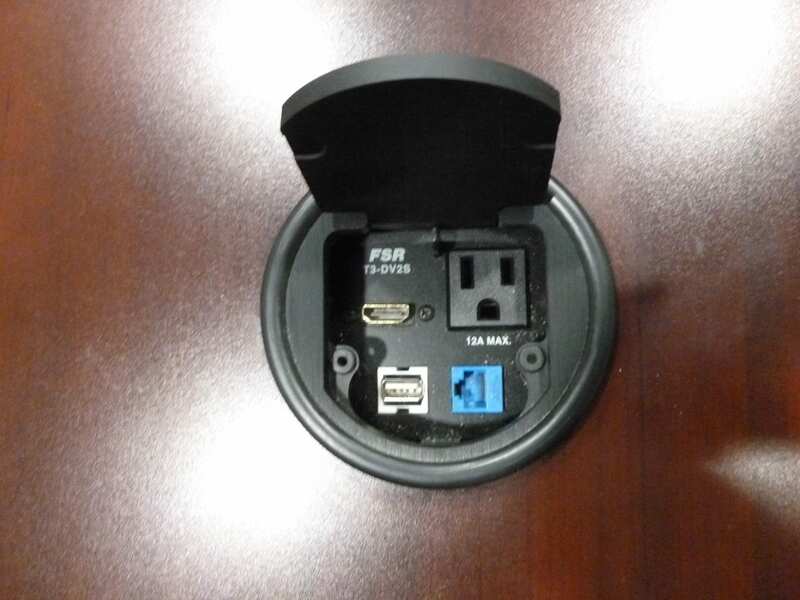 The customer asked for a basic tele-conferencing system. 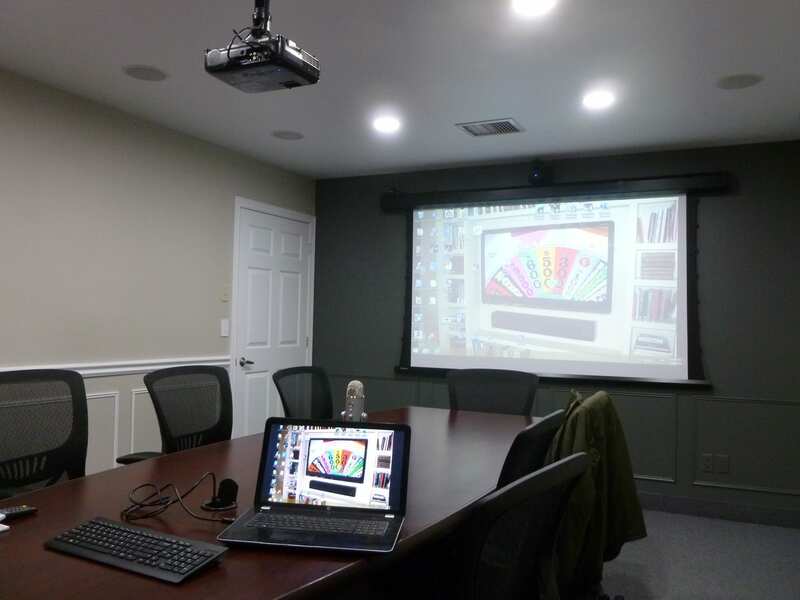 We used their existing projector and paired with a 94″ electric screen. 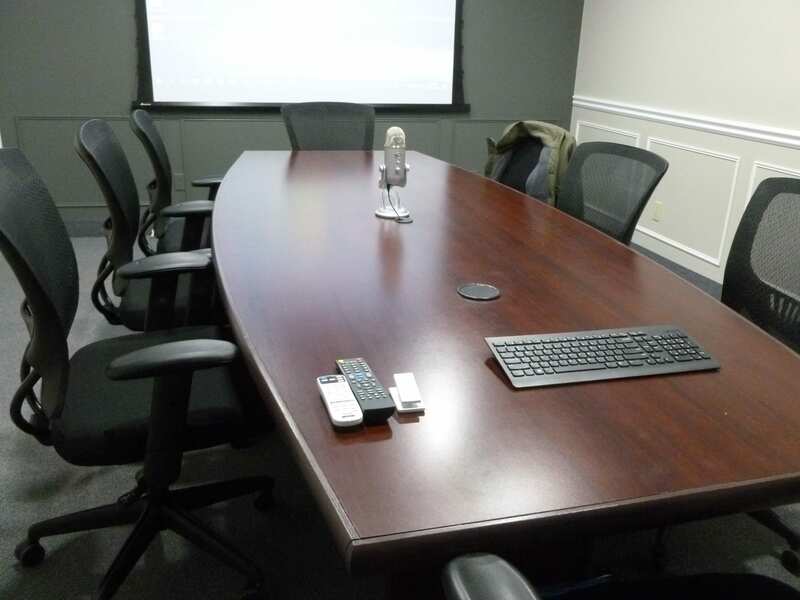 We used a 3 input scaler which allows them to automatically switch between the default PC and a second HDMI input on the Boardroom table for a Presenter and their Laptop. 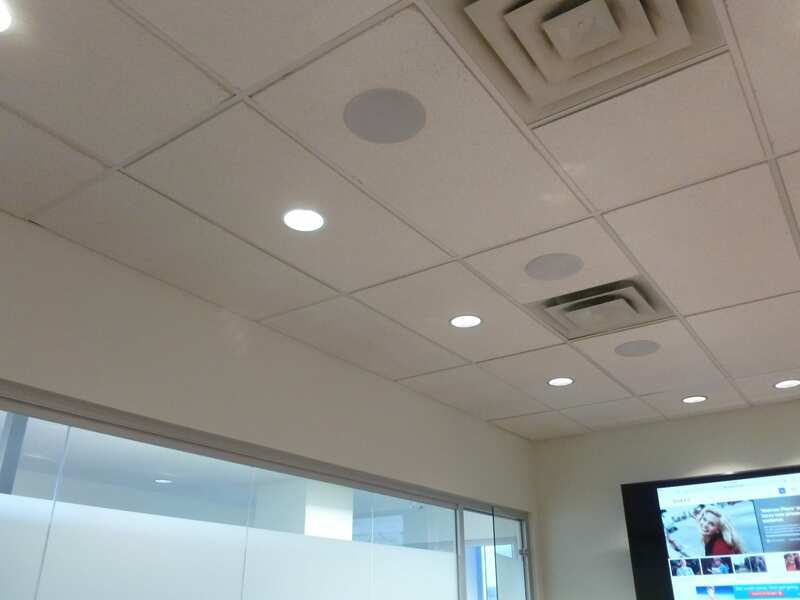 The audio is provided by 3 pairs of in-ceiling speakers and a 60 watt 70 volt amplifier. 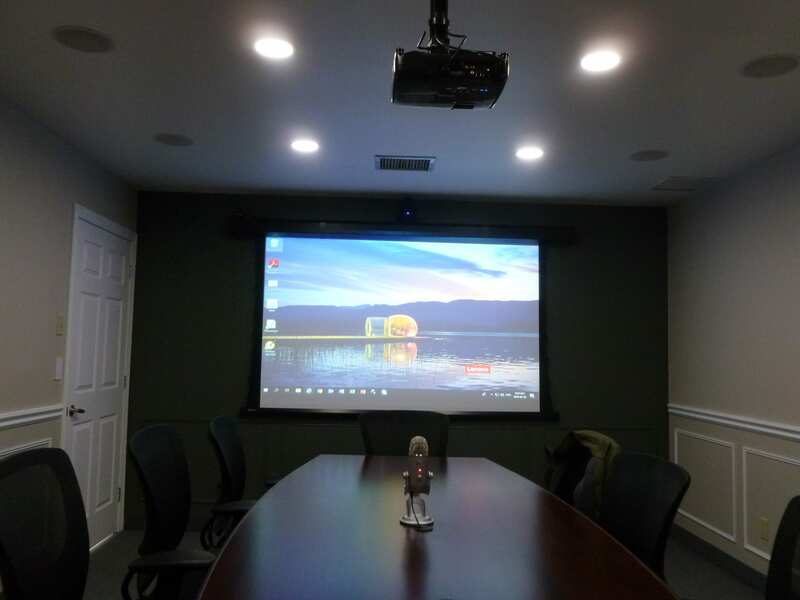 We also provided a USB Conference Cam and USB microphone. 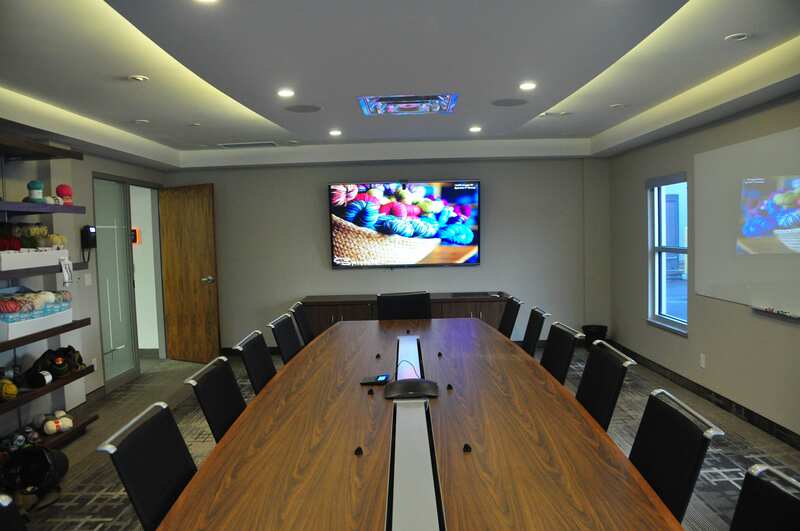 For this Boardroom, we equipped it with motorized shades and automated lighting control. 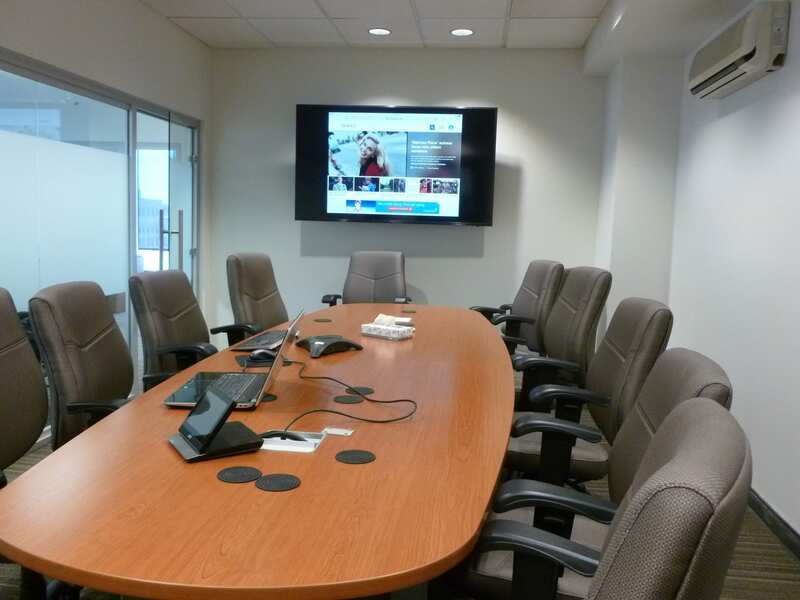 The Boardroom table is outfitted with 8 microphones for the video conferencing system. 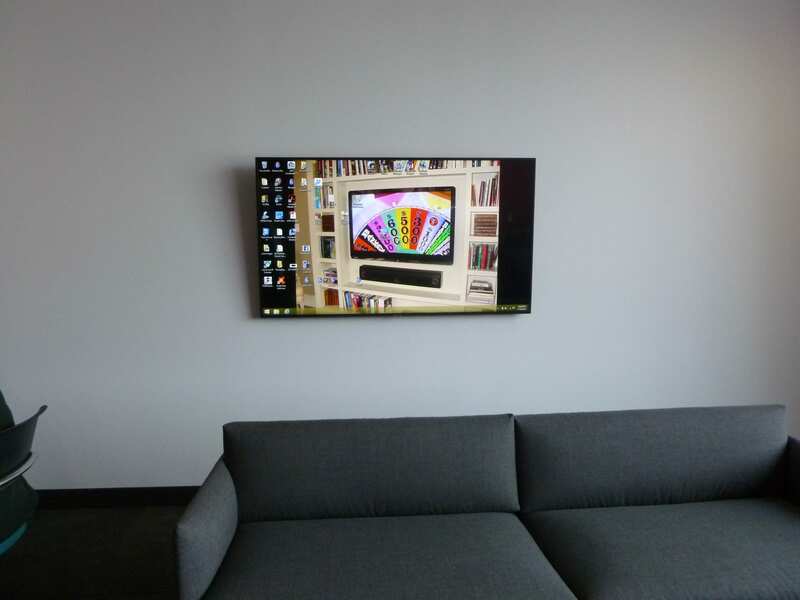 The 70″ LCD panel is also used to view a local PC, cable box and a DVD player . 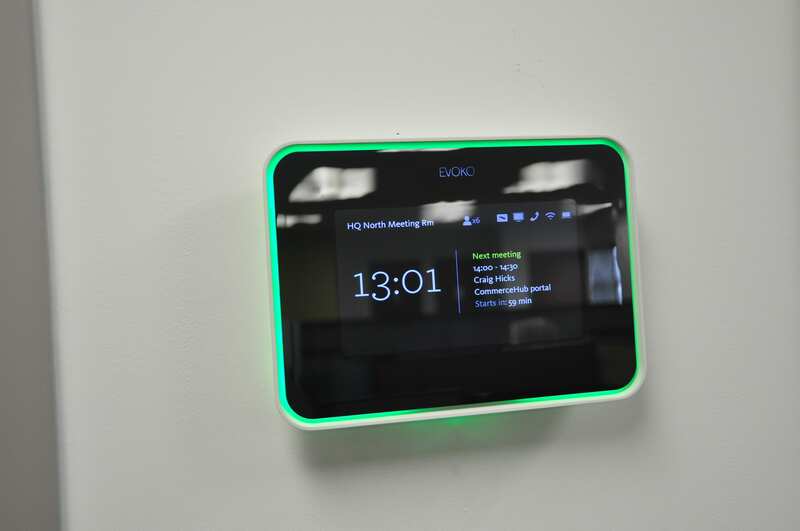 A 2.8″ LCD touch panel keypad is used to control the entire system. 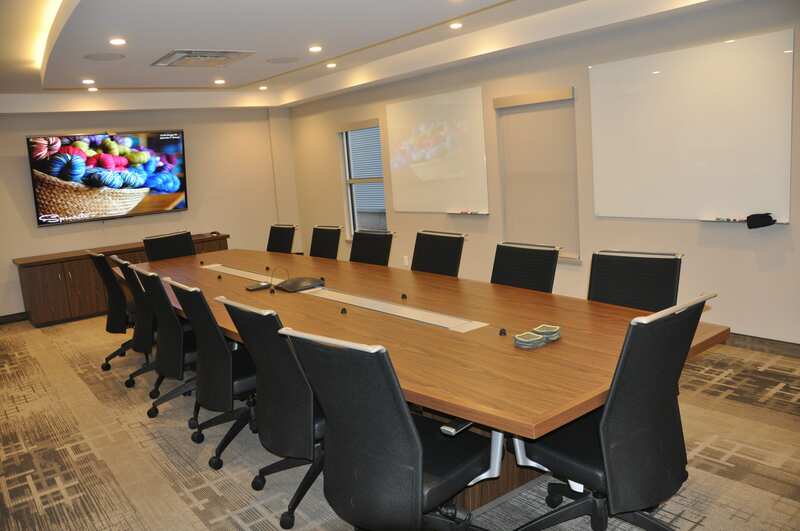 With the press of one button, the room can be configured for video conference mode which includes lowering the shades, reducing the lighting level and setting the audio and video system up for to see and hear the conference. 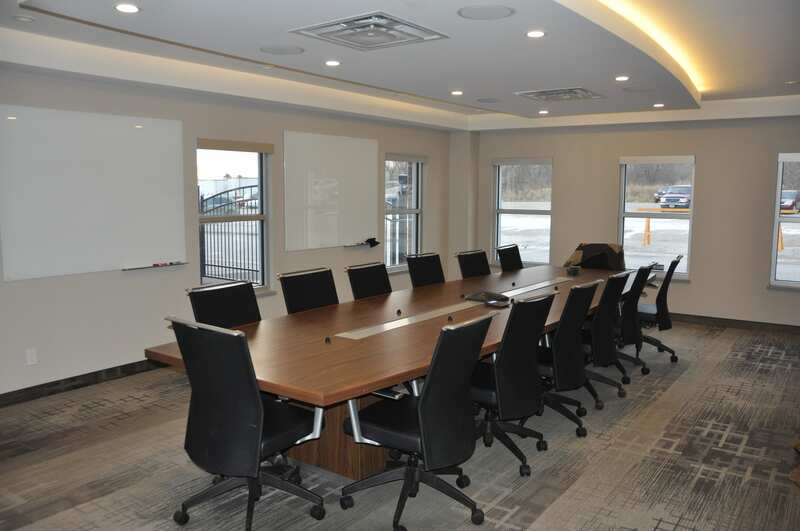 The Boardroom includes a room booking system which allows the users in the building to book the Boardroom for meetings. 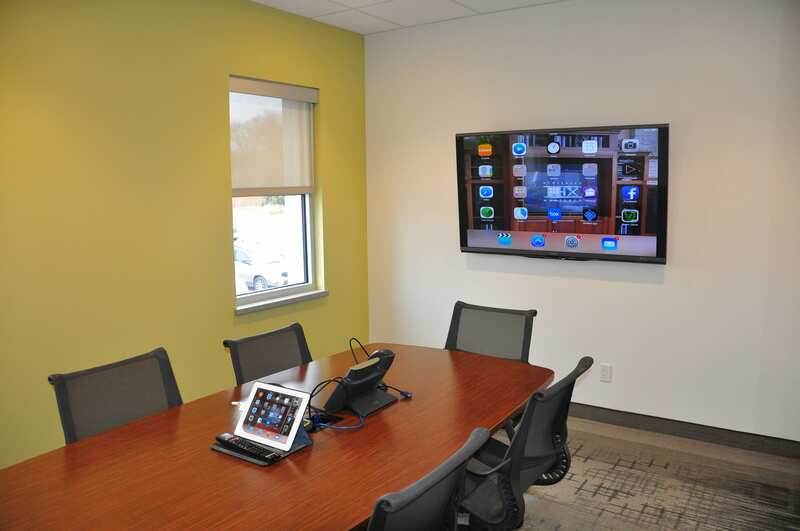 We also outfitted 3 Huddle Rooms and motorized shades for the Office area upstairs. 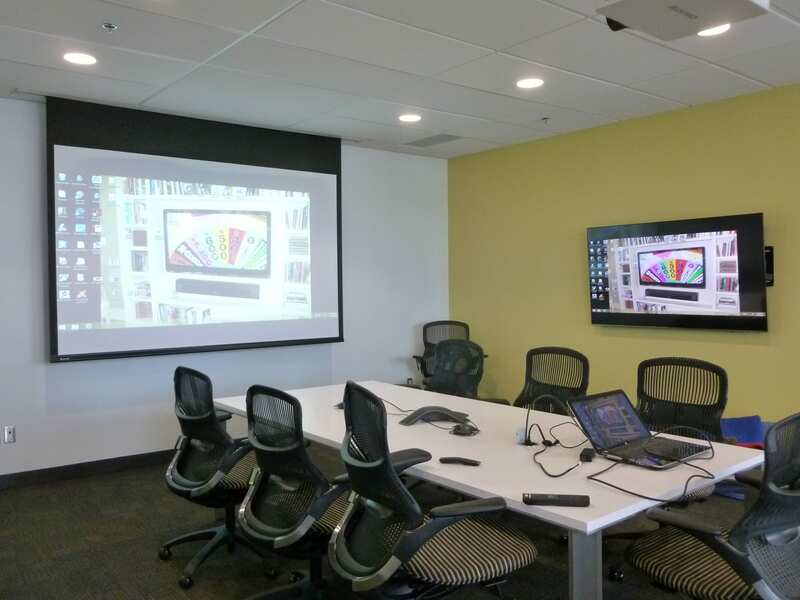 Our customer requested a Boardroom with dual displays and 3 Huddle Rooms to be outfitted with HDMI and USB connections at the wall. 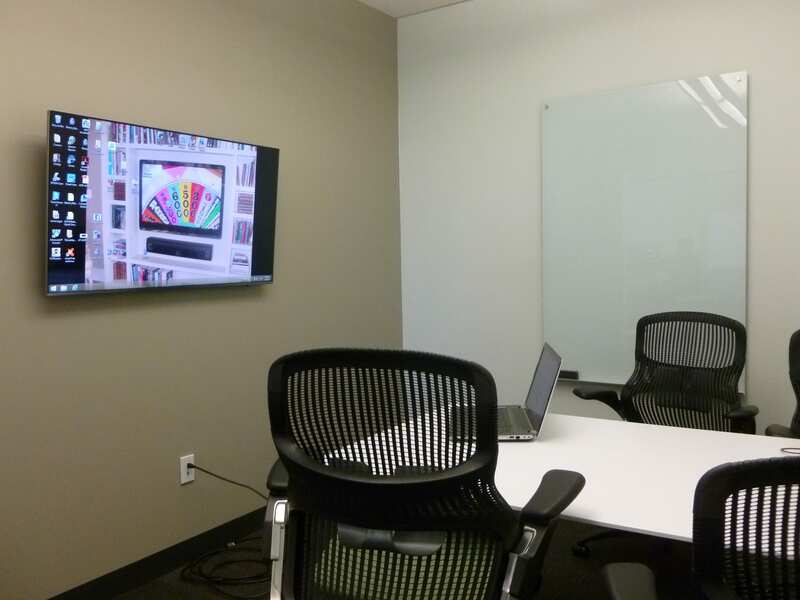 We installed their projector with a 109″ flush-mounted electric screen and there is a 65″4K LCD screen mounted on an opposing wall. 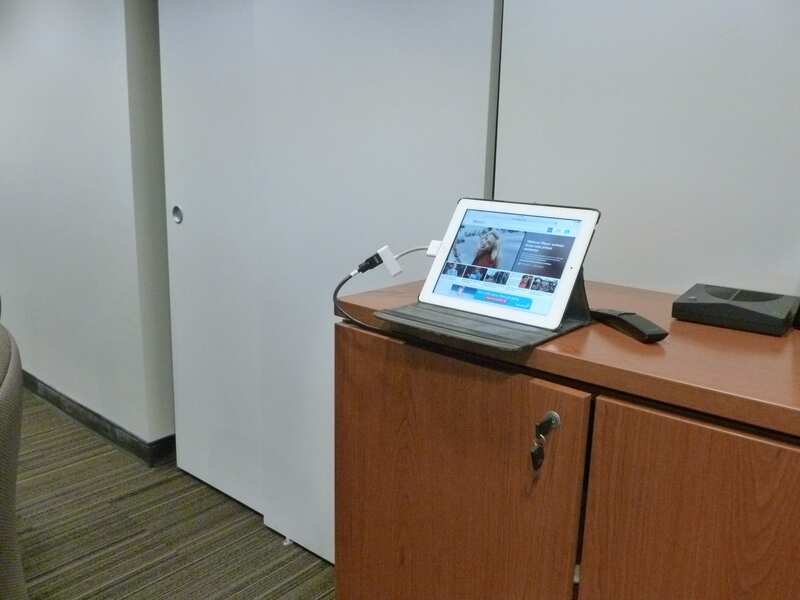 There is a connectivity box installed in the Boardroom table that allows the presenters to connect to either the projector or TV.